Canning is the method of preserving food by storing it in containers that are hermetically sealed and then sterilized by heat. In 1810 Durand from England patented the use of tin-coated iron "Food Can" or canning. The patent (No 3372) was granted on August 25, 1810 by King George III. 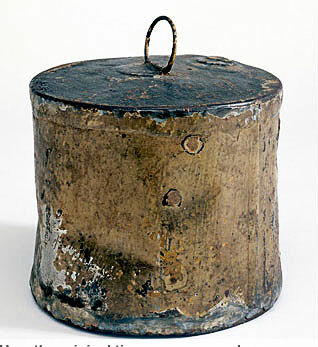 Peter Durand a merchant of Hoxton Square, Middlesex, changed food preservation with his sterilized and sealed tin food cannister. A Frenchman named Nicolas Appert had discovered he could preserve food by heating it and sealing it in glass containers which excluded air. Durand thought a metal container would be more robust. Very soon he was supplying canned food to the Royal Navy and the Empire in large quantities. The canning of food is still very popular. Very few kitchen cupboards are without tin cans of food of all sorts including soup, beans, vegetables, fruit and more all over the world. 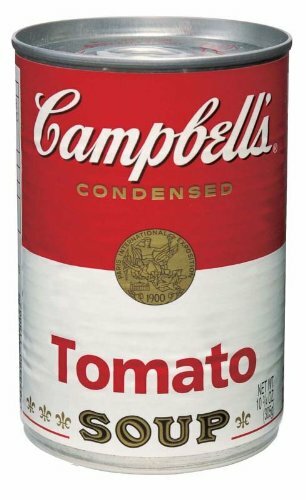 Many billions of cans are sold every year throughout the world. And best of all, it's recyclable! In 1813, John Hall and Bryan Dorkin, acquired the Durand patent in 1811, opened the first commercial canning factory in England. The firm of Donkin, Hall and Gamble was later merged into Crosse & Blackwells. The patent was re-sold in America some six years later in 1818. In 1846, Henry Evans invents a machine that can manufacture tin cans at a rate of sixty per hour. A significant increase over the previous rate of only six per hour.